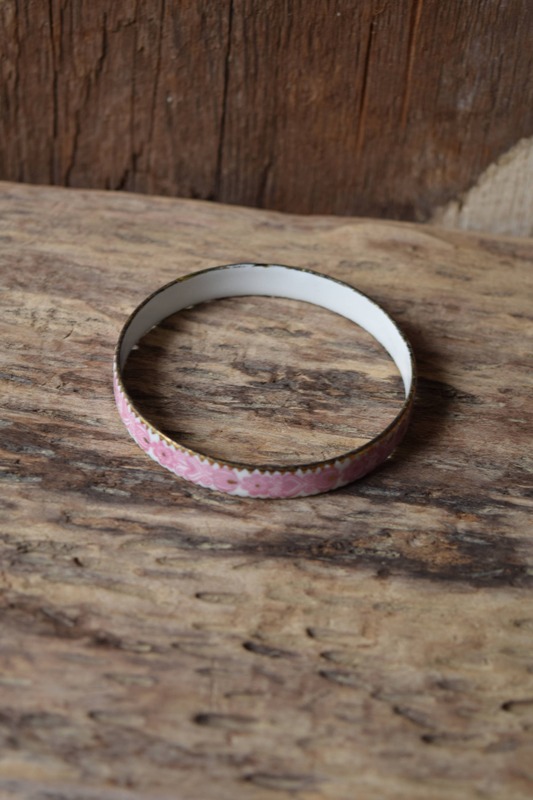 This hand painted vintage bangle features white and pink enamel with gold toned accent paint to mimic the beauty of hand painted porcelain. 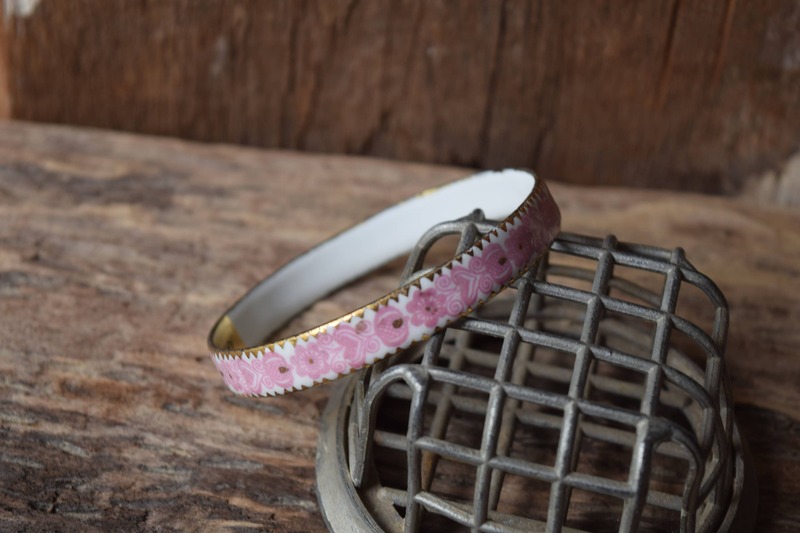 The floral design makes it a wonderful addition to a stack of gold bangles or as a solo piece for a charming dinner out. 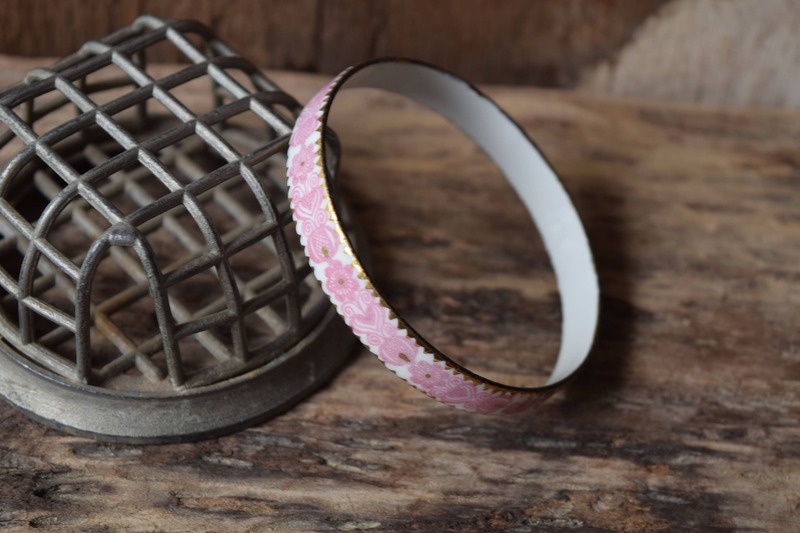 Casual or dressy, you'll find this pieces is easy to style with your favorite jeans or dress. Great Vintage Condition. It does have wear to the edge, likely from sliding around during storage. 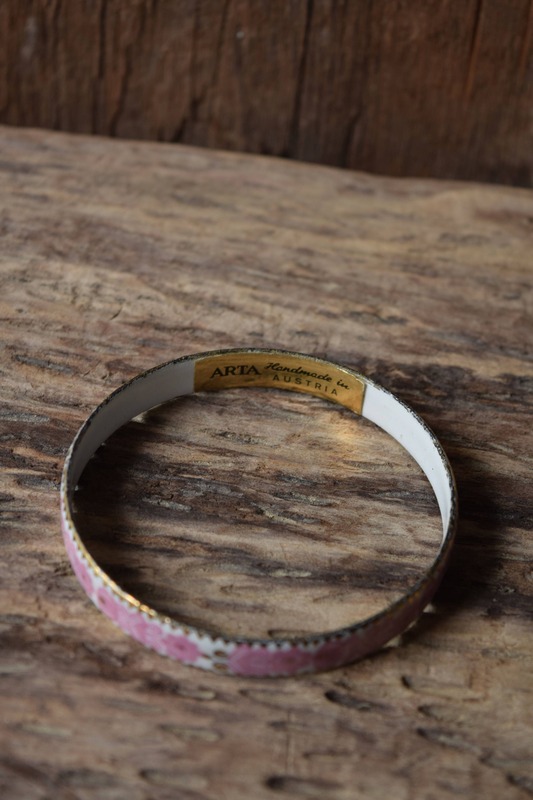 This vintage bangle bracelet is New Old Stock and still has the original ARTA tag on it. 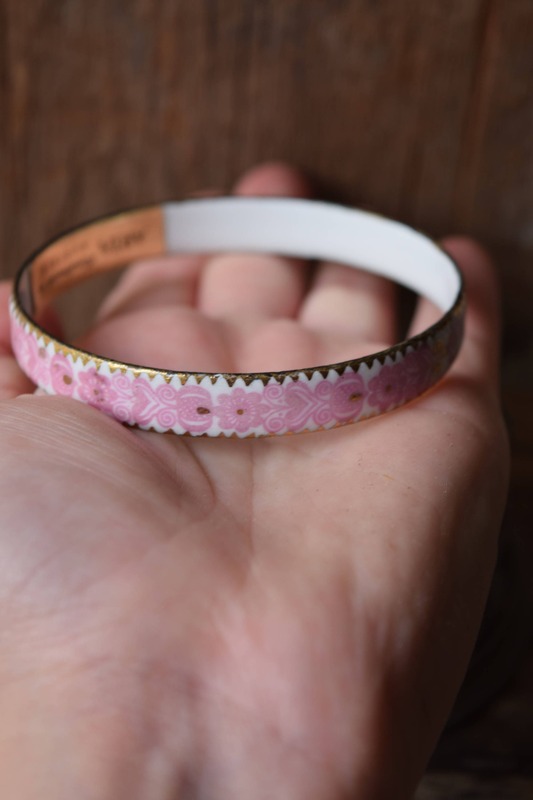 Please understand that colors can vary with device, the colors you see may not accurately reflect this floral bracelet's true colors. 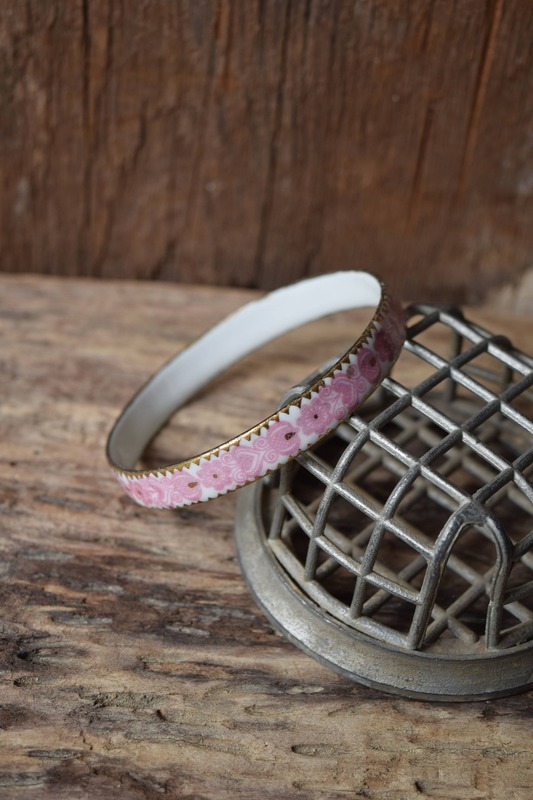 Check out all our bracelets today!